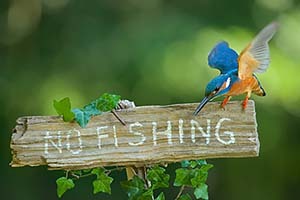 Dear visitor, welcome to Kingfisher Photography, a place full of kingfisher photographs, as well as other photos, tips and techniques to spot and photograph kingfishers yourself. It is possible to order small or large format fine art prints, all images shown are available in high resolution and in the best quality. My Instagram hit Dream Forest now available as fine art print! 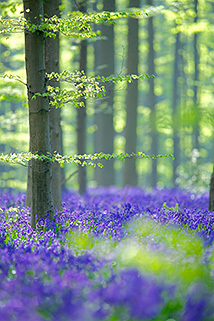 After succesfully selling my photos in my home country (The Netherlands), in 2016 I decided to search for an opportunity to offer this service worldwide. 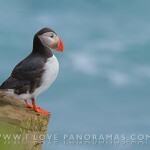 I found a partner in FineArtAmerica, a service where you can order my photos on a wide range of media. After succesfully selling my images in my home country (The Netherlands), now it is possible to order fine art prints all over the world! More coming soon! But in my opinion it was the best way to learn the job and despite all the advances of today’s technology, I did not wan’t to miss it. Today, I still try to work with the same philosophy of getting the best possible photo at that moment, in the camera, in the field, not in post-processing. To achieve this goal I use full-frame 36mpx Nikon cameras (2x D800) and the best lenses they offer. Being used to work on Fuji Velvia slides with an ISO of 50 in dark forest, I nowadays try to keep my ISO settings as low as possible. 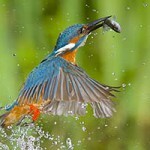 Even the hispeed kingfisher photos are shot a just ISO800. Knowledge of the subject, planning my work and placing long term hides, I try to get as close as I can get with my 400mm (my longest lens), so I can use the full advantsage of the 36mpx full-frame sensor. The kingfisher portrait in the slider above, is shot from a distance of 2 meter to the sensor, it was completely relaxed at about 1.6 meter in front of my lens hood. Using all those techniques I’m able to offer very high quality images, mostly uncropped, but always larger than 3800px on the longest side of the image. 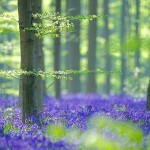 All images are post processed on 100% to check for chromatic abberation, dust and sharpness and have barely any noise. Soon I will create a section with tips and tricks to improve your own pictures. My latest work I shot with a new tool I start to love more and more, it is the Agnos Jumbo MultiBigShoot Plus. That’s a mouth full, for sure. The Agnos JMBS is a bracket specially made for the Nikkor (Nikon) PC-E lenses, also known as tilt-shift lenses. I’m lucky enough to own two of them, the 24mm and the 85mm version. Lately I’ve discovered the beauty of shooting panoramic landscapes and the use of these tilt-shift lenses for this is really great. To create a panoramic image you can shift the lens to the left, shoot an image, shift to the middle, shoot an image and shoot to the right and (I think you guessed it) shoot an image. In Photoshop (p.e.) you can stitch the three images together for a beautiful panorama. In my case, I shoot with a Nikon D800, the result is a stunning 55 Megapixel file. However, there is one disadvantage of this technique, and that is where the Agnos JMBS comes in place. When your camera is placed on your tripod and you move the tilt-shift lens, you get errors due to the parallax effect. You can easily see what this means by holding your finger in front of you and look at it with first your left eye closed, then your right eye closed. This effect can give you some big problems when stitching images with the subject near to the camera. When using the Agnos JMBS, the tilt-shift lens is placed on the tripod and the camera moves. No matter how close your subject is to the camera, you will always have images completely free of parallax errors! Currently working with this setup in the beautiful Iceland! It must have been in the early nineties when I was at a fishing pond looking for carp with a fishing rod and a half bread, when suddenly in the corner of my eye, there was something flashing away in the most beautiful blue color palet I had ever seen. Stunned for a moment I was wondering what on earth that could have been? 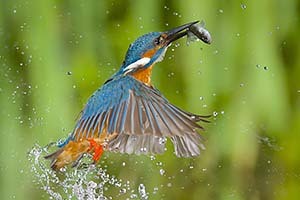 Later that morning I spoke another fisherman and he knew it must have been a kingfisher (ijsvogel in Dutch). My curiosity brought me to the library (a big building full of books, internet was not available to us that time ), I spent an evening searching for information about that little blue bird and found a thiny book about it, called IJsvogels in de Biesbosch (Kingfishers in the Biesbosch, a famous Dutch nature reservate), written by Kees Bolkenbaas, to bad he passed away not long ago. It turned out that Kees lived in my village! At a local book store I bought the book and read it in one time, learning a lot about this little birds with such beautiful behaviour. 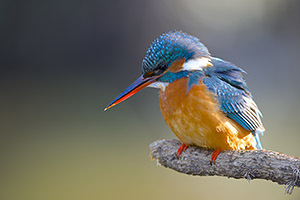 A few months later I visited a reading by Kees about kingfishers and that evening I decided I was going to make those stunning photographs of this birds my self! That’s about 20 years ago, I shot some decent photos on slides, got some other interests in life, but 3 years ago I was able to shoot kingfishers again at a great spot, the love of these birds flourished and from that time I spent about every free hour in studiyng and photographing this unique bird. Copyright © 2017 Kneeke.com - All Rights Reserved.